So today I am sharing with you my favorite Asian Dragon story, the legend of Pai Lung. It all starts with a stormy night when a beggar was caught in a storm. He stopped at a house and begged for shelter. A young girl answers the door and lets him in, her parents agree to let him stay the night so he won't be caught in the storm. The next morning he was gone before the even woke up. Unfortunately, the parents soon discover their daughter to be pregnant. Enraged, the parents kicked her out and she made her way out in the world, alone. Then came the day when she was in labor. She gave birth to a ball of white fur. Frightened and shocked and according to some versions grief. 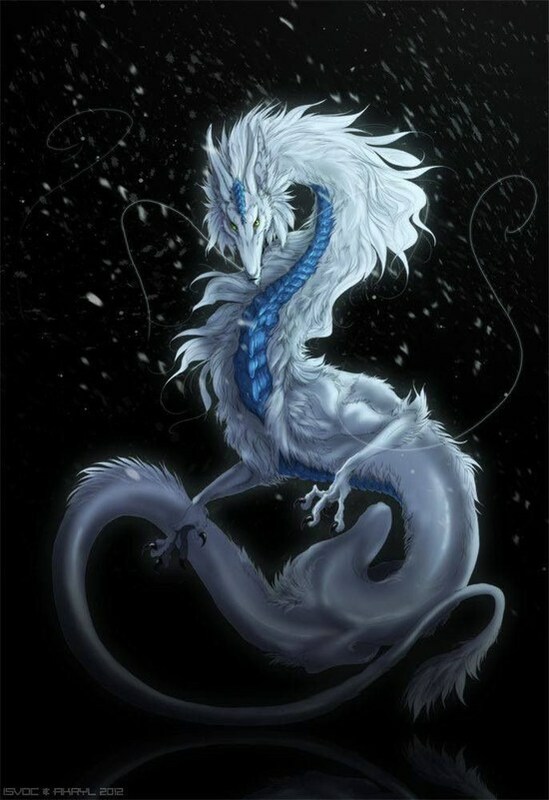 She threw the ball of fur into the ocean, once it touched the ocean, the ball of fur transformed into a magnificent white Dragon! Sadly, she died from fright. Fortunately, her tainted reputation was repaired, since she had obviously been Dragon blessed! She became known as the mother of Pai Lung. She was given a nice burial and a temple was erected on site.